I haven’t seen this joke made so far, but I’m going to say it because Kanye is just so cocky, and I can do whatever I want. The Kanye/Jay-Z collaborative album dropped earlier this week titled Watch The Throne. 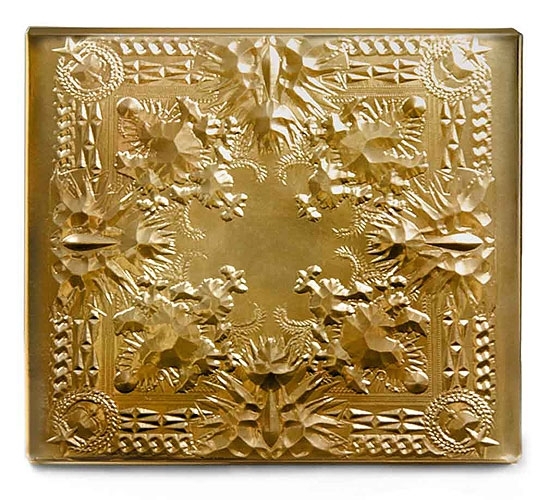 Their album cover is gilded in gold and created by Givenchy’s, Riccardo Tisci. 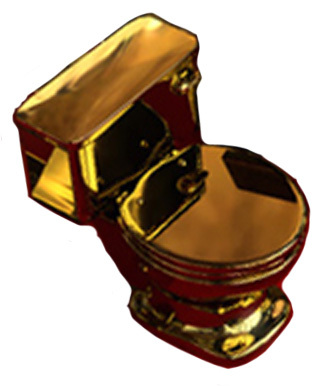 By the way, that is a solid gold toilet and as soon as Kanye sees it, he’ll probably order one.